I am a member of the Collective Bias® Social Fabric® Community. This shop has been compensated as part of a social shopper insights study for Collective Bias and their client. All opinions are my own. I love my two cats (soon to be three). Both were rescues. The first, Bocca, was a stray I found abandoned under a tree in my yard when he was just a few days old. He was crying so loudly and so I went searching for the source. I left him for about 20 minutes to see if his momma would come back for him, but she never did. The vet said he probably wouldn’t make it without his mother, but I proved him wrong by nursing him round the clock and that kitty repaid me by growing up to be a hellion. The second kitty, Harley, was adopted from our local Humane Society. Thankfully, she’s much more laid back than her older brother. As the mother of two cats and the mother of one human, I’ve learned that there are certain things you don’t skimp on by buying the generic version. A few of the items on my “brand name only” list include mayonnaise, ice cream, coffee, and cat litter. Yes, cat litter. In short, buying cheap cat litter means your house will smell like cat poop. Buying good cat litter means your house won’t smell like cat poop. Is it worth the extra few bucks? Uhh, yeah. Chlorophyll – Plant extracts are a natural filtering agent that trap any odors left behind by the carbon. Those green speckles in the Fresh Step litter? That’s the chlorophyll. Essential oils – Essential oils (both paw-activated and moisture-activated) have been found to stop the growth of odor-causing bacteria, as well as inhibit mold growth. Why triple action? – The triple action power of Clorox Fresh Step with Odor Shield helps reduce bacteria. 53% of cat owners indicated that they were concerned about bacteria in the cat box. That number climbed to more than 60% among cat owners with children. Right now, you can get DOUBLE Paw Points rewards from 9/9 to 10/31 with every purchase of Clorox Fresh Step with Odor Shield. Check out the Paw Points section of the Fresh Step website for more information about how you can use the points to earn “PAWsome” stuff! I’ll leave you with an example of something I might not be willing to do with my cat if I used a cheap cat litter. 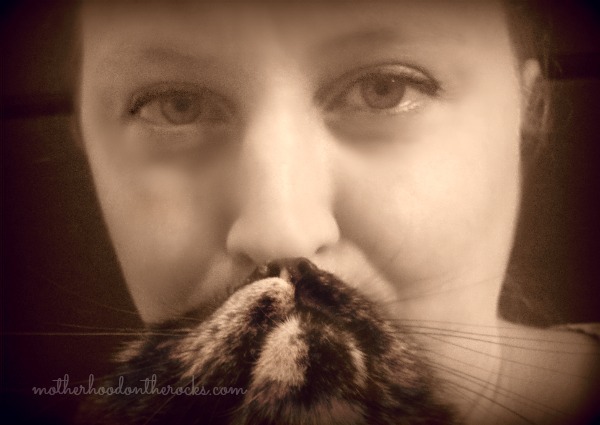 It’s called “cat bearding,” and it basically involves holding your cat up to your face to resemble, well, a cat beard! See me with my cat beard below and a Vine video here. It’s a crazy new trend that’s sweeping the nation – or at least sweeping cat owners who don’t mind getting up-close-and-personal with their kitties! I have to let my cat friends know about cat bearding, being a dog person myself I tend to have a wet snout near my face way too many times already. I also have a dog so I empathize! I don’t have a cat, so maybe I’m just out of the loop, but I have never even heard of “cat bearding” before. I have several friends who have cats that they adore more than life itself; I’ll have to pass this info on to them! The tiny kitten photos are killing me!! So adorable! You should google it. There are so really funny ones out there! ha! love it. we don’t skimp on cat litter. or coffee. ever. Agree! Generic coffee is so disgusting! Your cats are so cute!! LOL @ cat bearding! That is hilarious!!! I can’t believe how stinkin’ adorable your kitties are!!! I have three cats, all inherited and love them to pieces! I just actually purchased this pack of Fresh Step.. I totally love the packaging! Thanks! I love the new packaging too! I’ve been fostering kittens for a couple years now and it’s worth every ripped couch cushion. Bottle feeding has been such a joy. I think I would wait till the babies were 3 months before introducing clay litter. I would love to foster kittens, but I would have a hard time giving them up. 🙁 Kudos to you for doing something so great! Aww your cats are so adorable. I am more of a dog person though. We have a couple outdoor kitties that are just too cute. We found them in our barn, they were about a week old. Our puppies unfortunately chased the momma off and she wouldn’t come back. So we started bottle feeding them until they weaned and they are the sweetest cats. And great mousers too! Ahhhh-dorable!! Your babies are so sweet and I love the cat bearding pic. It makes me want to adopt a cat just so I can bond (er, beard) with them! Those cats are so cute! Thank you for sharing. We don’t have pets right now, but we love animals! Cute. And thanks for the great info. I don’t have a cat but have lots of friends that do. I’ll steer them here! Brand naming is sooooooooooo important in all of the things you mentioned!! I’m a dog person and love my little fondling too!! They are the most grateful pets! I’m a dog person so the “cat bearding” info was interesting. Cute photos of the cats while they are small. So cute. Thanks for a great article. Oh my, your cat Harley looks so much like the cat we had growing up, Ballerina. awww cute kitty name! The torties are so full of personality. She is a sweetheart, too! I love this post–cute pix of kitties…and I don’t skimp on TP for my self or littler for my cats—some items are just SO WORTH the extra $$$!!! I totally agree with you – I won’t buy generic cat litter either! I haven’t heard of Fresh Step with Odor Shield though…I’ll have to look for it the next time I’m out. Oh, and cat bearding is hilarious! I love your pic! Oh my god. Soooo cute! I’ll have to let my neighbor in on this little secret. I watch her cats for her when she goes away, and the smell from the cat litter box is more than I can handle. The cat bearding pic is adorable! I have seen some really funny ones before. 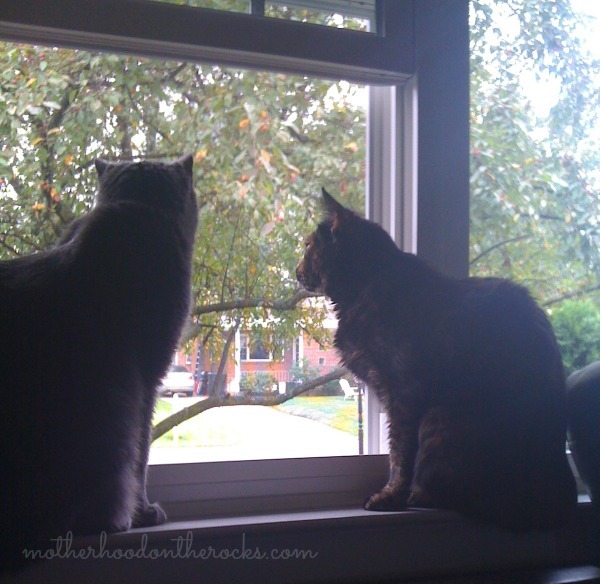 Nothing is worse than a smelly litter box. I don’t have a cat, but If I did I would make sure I would get the most effective litter money can buy. Fresh step sounds like it would be a great option. I don’t have a cat, but I think the cat-bearding thing is hilarious! Thank you for sharing your review of Fresh Step! I love cats but the smell of the cat litter really is hard to handle. Great to know that there are odorless options – they’re so necessary. I loved having a cat (too bad DS5 as asthma to them). They were amazing an very comforting. One thing I hated was their litter. This looks very promising! I have always had dogs but will definitely pass this on to my cat-loving friends. Those pictures are adorable! I will confess, I have made the mistake of buying cheap cat litter…twice. We are adopting our first “family pet” kitten this weekend, but I grew up and have adopted many cats before. 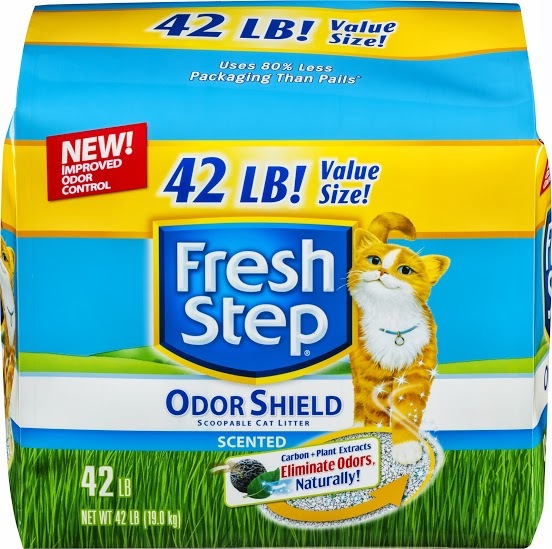 I ONLY use Fresh Step I have never had a problem with odor and it is fairly dust free. awww! Good luck with your kitty! What is his/her name? We love the Fresh Step cat litter! I agree–I’d rather pay more if that means my house won’t smell! 😉 I love your cat bearding photo! My kitty was NOT happy with me when I tried mine! LOL! I love cats and I love yours. I think me and the hellion would get along well 🙂 ! But I’m allergic and not taking sudafed/benadryl/nyquil cocktails to keep from the allergies, so I’ll love them from a distance. lol! I’m pretty sure he thinks he’s a dog. He even snuggles with my dog! We like Fresh Step! Cute pictures of your furbabies. ahh love the cat pics! Thanks so much for sharing! I’ve been a big fan of fresh step for years! Like the kitty pics! My cat keeps his box in the garage so I don’t smell it. Great to know this litter works, I am highly allergic to cats so I try to stay away from them. Sadly I am allergic to cats 🙁 But I have a friend who will not use any other litter besides Fresh Step. I know its gotta be good stuff! Ha! Love your cat beard! And love those top pics of your little rescue… so sweet. 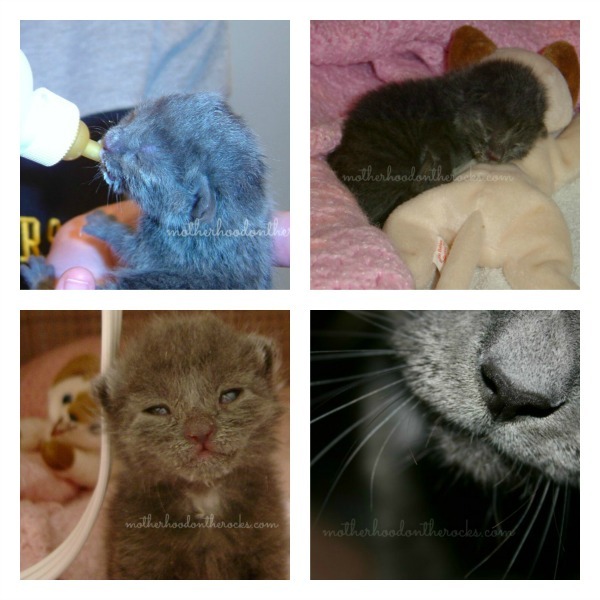 I love the pictures of the baby kittens. They make me want a cat (even though I’m allergic)! I am a momma of 3 cats, 4 kids and 2 dogs..most def I agree name brand litter is a MUST!! Aww, how sweet! When I was around 10, a cat we had, had kittens and abandoned them. We have to syringe feed, and help to relieve them at just days old. These pictures remind me of that special little litter of cats. Today, I have no cats, but would consider it. We’re not a cat family – but I can definitely tell when I go to someone’s house and they are not using brand name litter – because you can just smell it everywhere. That’s awful! I have actually had people come over and be surprised that we have cats. Best litter ever. I’m a dog person, but my husband loves cats! Those little kitty photos are so cute! I ‘m allergic to cats,but I will definitely tell my friend who has one. Wow, I wish more people would check into the better cat litters, because it is very difficult when you go into someone’s house, and you SMELL it, and you definitely cannot say…WHOA, I smell cat poop, lol. I would be like you, there are certain things you just do not skimp on! Unless you just do not care if you home stinks of poop. Interesting – I am allergic to cats but all my friends have them. Will have to ask them about cat bearding! We love Fresh Step, it’s definitely the brand we buy the most. We don’t have cats as they both passed away due to age, they were very old. The kitten is so cute! Adorable, and using the right cat litter is so important. There is a HUGE difference between them. I was never a cat person, but my children love the cat. She gives them a great deal of pleasure. Sometimes, things surprise us. Never heard of cat bearding but I do have two cats that I adore! We actually just found a kitten last week – he’s about 3 weeks old. We’re not ready for cat little yet but when we are, I’ll give this a try! I don’t have a cat or need on with 4 girls and a soon to be baby boy I have to much responsibility with them.. I like your pics but I have never heard of cat bearding..
My hubby wants a cat but my dog hates them. The Humane Society has so many cats that need good homes. They even have kittens. 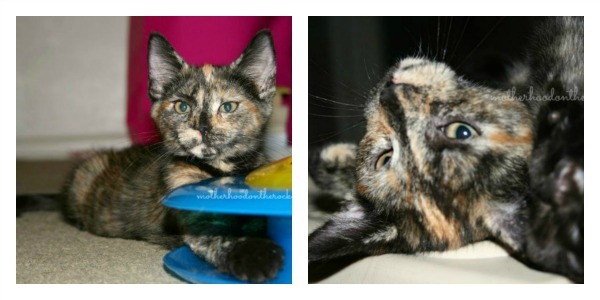 Our tortie was a kitten when we got her too. I love the Cat Bearding picture! Too funny! I love Fresh Step cat little, by the way – it’s the best cat litter for our cat. The cats are adorable. We are typically dog people but I love looking at pictures of kittens. I wish I could have a cat, but I’m allergic. Will definitely share this with my cat friends though! Your cats were so small! I love the car bearding pic! SO CUTE! We use this litter too! It’s great! Great post! So glad there are people like you doing good things for animals in need. Nice beard! It is uber hard to find a good cat litter. My sisters cat is so over weight that she can’t sit her phat behind in the kitty litter box all at once. She’s on special food, but she just is not losing weight the way she should. Nobody over feeds her, she’s just a pudgy. Her name is Bella and she was also adopted, but nobody can ever tell her – she’ll be floored to know she wasn’t born into this family!